Video of the paper Automatic 3D Car Model Alignment for Mixed Image-Based Rendering presented a the IEEE 3DV conference on 3D computer vision 2016. 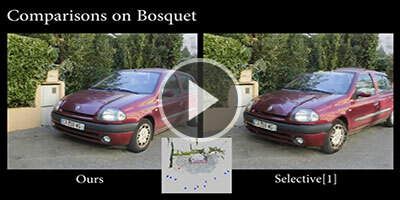 Supplemental video with all the comparisons of the paper Automatic 3D Car Model Alignment for Mixed Image-Based Rendering presented a the IEEE 3DV conference on 3D computer vision 2016. Supplemental video accompanying our SIGGRAPH Asia 2016 paper "Rapid, Detail-Preserving Image Downscaling". Gameplay video taken from IBR Fighting League, the first game prototype developed thanks to the high-fidelity prototype of CR-PLAY Technology. A short gameplay video taken from Silver Arrow, the first game prototype made with the low-fidelity prototype of CR-PLAY Technology. This video gives an overview of the most important steps involved in the creation of a game scene, using the Low-Fidelity prototype of CR-PLAY Technology. 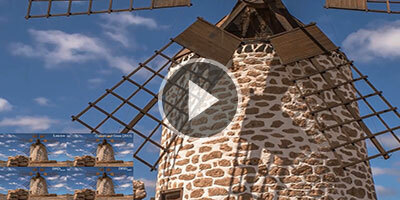 Test video showing occlusion of polygonal elements. CR-PLAY allows to reconstruct realistic scenes and real life elements by simply taking a few sequences of photos and videos. CR-PLAY will also provide guided capture for extended scenarios in such a way that users can comfortably capture various scenes in 3D without having to worry about missing data. Users can capture real world data from digital cameras or smart phones. 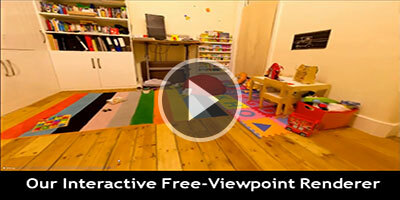 This video shows how, thanks to the improved version of the IBR (Image-Based Rendering) algorithm, it is now possible to get indoor scenes containing many very fine details. Quality attainable with CR-PLAY approach (corresponding 3D data on the right). 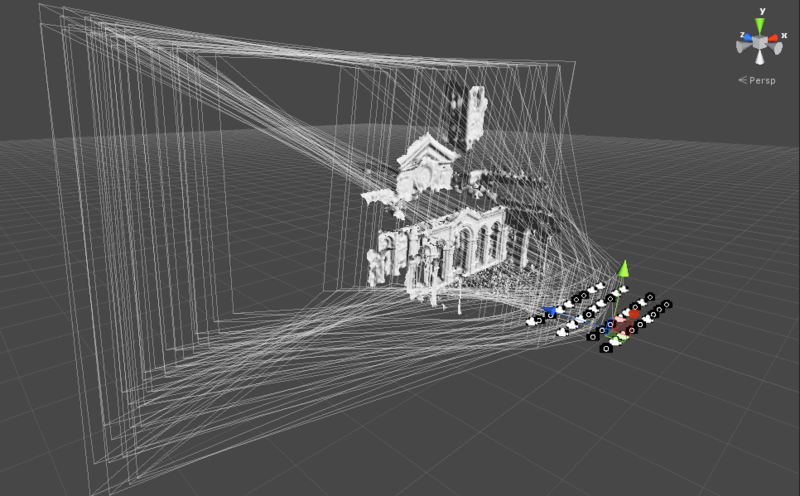 Several cameras are used to capture a scene; First input camera (blue) positions and orientations are recovered (calibrated) and approximate geometry computed. We can then create novel views (red) using Image-based rendering. Reconstruction of the Aquarium. Quality attainable with CR-PLAY approach (corresponding 3D data on the right). Note that many visual artifacts remain, and the region of movement is still quite restricted. The research we are developing, is resolving these important issues. Quality attainable with CR-PLAY approach (corresponding 3D data on the right). and approximate geometry computed. We can then create novel views (red) using Image-based rendering. Another reconstruction showing the quality of the results attainable with CR-PLAY approach (corresponding 3D data on the right). Madonna della Guardia Cathedral. One of the input images from the Madonna della Guardia data set. Points cloud generated by the input images of Madonna della Guardia dataset. 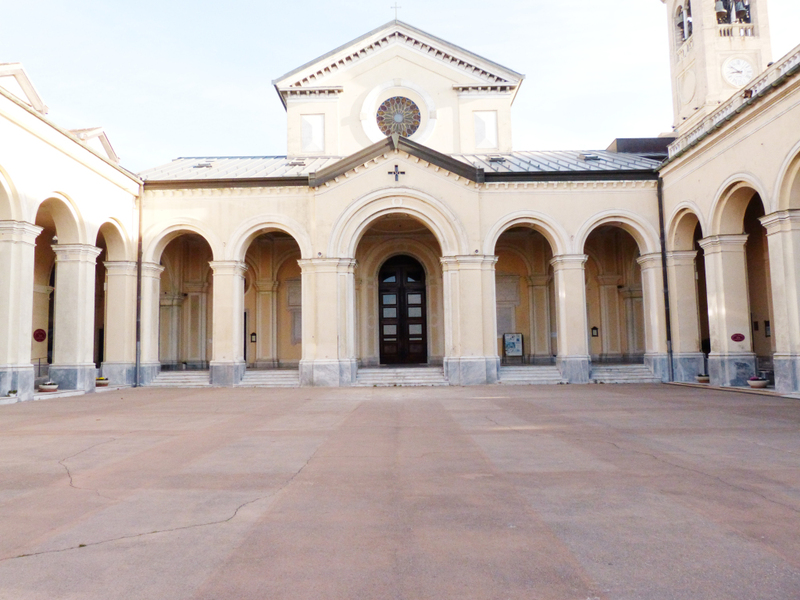 A reconstruction of the Cathedral (Madonna della Guardia) integrated in Unity 3D (Unity Technologies). 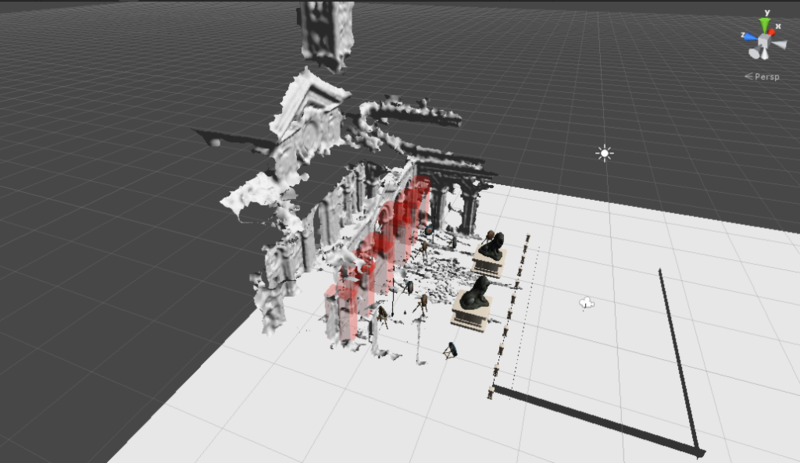 Using the CR-PLAY editor we can integrate captured data together with traditional game objects, not existing in captured environments and also to give scenes a coherent look and feel both in terms of lighting conditions and textures. Editing an outdoor scene with Unity 3D (Unity Technologies). 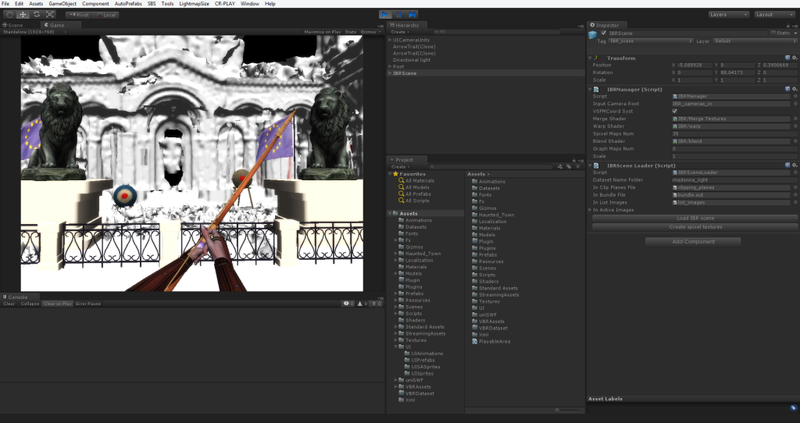 Integrating captured data with traditional game objects with Unity 3D (Unity Technologies).